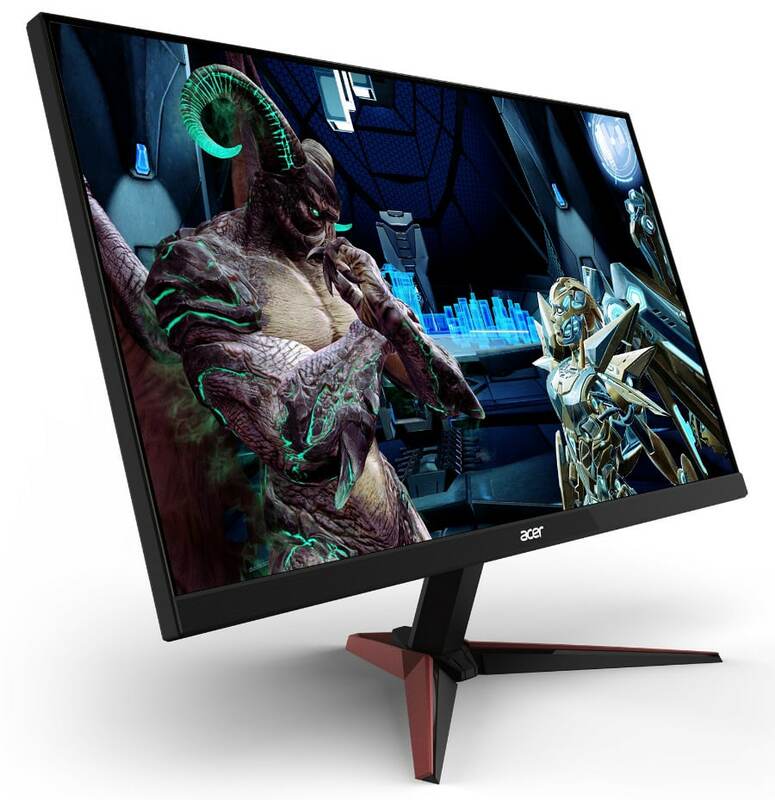 The Acer Nitro VG0 series of value-oriented gaming monitors aims to shake up the market with unique specs and extreme affordability. What’s different this time around is that these new models will offer some variants with a 144Hz IPS panel that provides speed, responsiveness, and vibrant colors. We’ve received several inquiries about a monitor that has a low cost and fast IPS panel, and it looks like the Acer Nitro VG0 is the answer. Acer has been mum so far regarding the final specs for the different variants of the Acer Nitro VG0 series of monitors. What we know so far is that these upcoming models will sport a three-side borderless design along with distinct aesthetics taken from the Predator models. However, the brand took a minimalist approach this time around, although the Predator design character is still present. From the initial images, we can already tell that the Acer Nitro VG0 will sport slim or svelte figures with modest dimensions. There are a total of three initial models that comes in 22-inch, 24-inch, and 27-inch flavors. The brand is bound to cover a lot of ground in the monitor market with these offerings, especially since they are guaranteed to be very affordable. However, one thing that comes to mind when we mention affordability is the cut corners to make a product meet a certain price point. As such, the Acer Nitro VG0 will only have tilt-only stands, which thankfully, are removable. VESA bolt holes are readily visible at the rear of the housing for aftermarket armatures such as desk mounts. I/O layouts for all three models in the Acer Nitro VG0 line are still unspecified at this time. The only detail we have scooped up so far is that the 22-inch model will have a VGA slot. DisplayPort and HDMI slots are common fare for 144Hz monitors, so we aren’t expecting any less. The Acer Nitro VG0 will arrive with 22-inch, 24-inch, and 27-inch IPS panels that offer a 144Hz refresh rate. 1080p, 1440p, and 4K resolutions will be available, but we are most interested in a 144Hz FHD offering. As we all know, all of the currently available 1080p high refresh monitors are TN based which have poor viewing angles and limited vibrancy. We also found out that these IPS panels will share 8-bit color support for full sRGB coverage. This aspect along with excellent viewing angles and superb clarity will make the Acer Nitro VG0 a popular choice for thrifty gamers. We could also treat these new offerings as a suitable middle ground for weekend warriors who dabble in photo or video editing. IPS panels are known to be slower than TNs, so we can guess that the Acer Nitro VG0 monitors will be prone to blurring. However, the official website suggests that all models will offer a 1ms MPRT boost that the brand is calling Visual Response Boost. We are hoping that VRB will be as effective as the likes of ViewSonic’s Rampage Response in reducing image retention and ghosting. 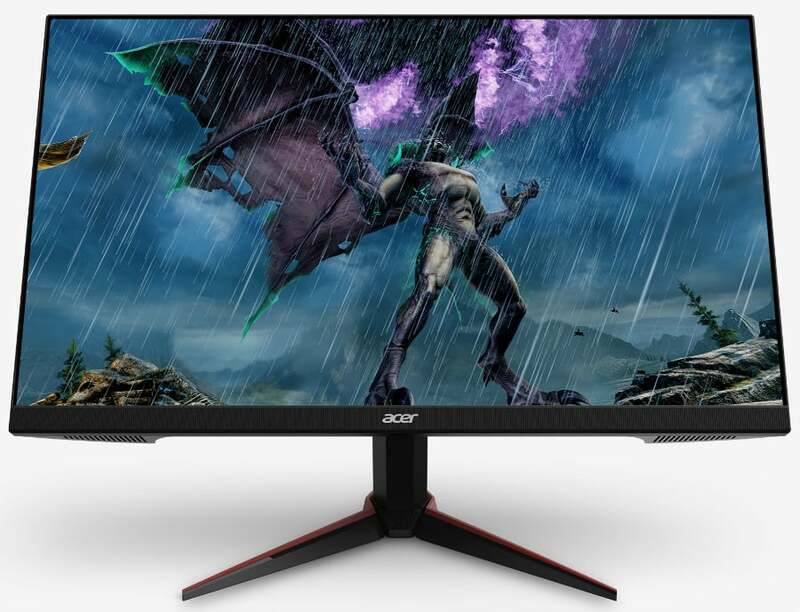 The Acer Nitro VG0 monitors will also feature FreeSync for fluid and tear-free gameplay. Of course, you have to use an AMD GPU like the RX 580 and the Vega models to utilize this technology. It’s also notable that FreeSync does not add a hefty premium like G-Sync, but we would love to see a variant based on the latter shortly. Finally, one of the critical aspects of the Acer Nitro VG0 is its compatibility with Acer’s Display Widget which allows you to adjust settings in Windows. There are still OSD buttons built in all of the variants, but we’d rather switch filters or tinker with RGB temps from a software-based implementation. The Acer Nitro VG0 series of gaming displays are much awaited since they offer a high refresh IPS panel at a friendly cost. We’ve yet to test a 144Hz IPS panel with a 1080p resolution, plus we’ve received numerous emails asking for one. We are relatively confident that this new series will beat the living daylights out of TN models when it comes to imaging quality and clarity. The announcement suggested that these new gaming monitors will start at $129.99 once launched. However, the Acer Nitro VG0 monitors were slated for release in June or July of this year in the US and Europe. Details are still scarce at this time, but we keep checking this page for the latest news and developments about these fascinating displays.